London corporate magician Christopher Howell provides close-up magic entertainment as well as corporate magic shows for events of all sizes. A Member of the Magic Circle, he is a magician for hire for diverse events - whether for the private booker or corporate event market. Corporate entertainment often calls for something special to make an event a memorable success. Christopher is in demand as a London magician to help address this. 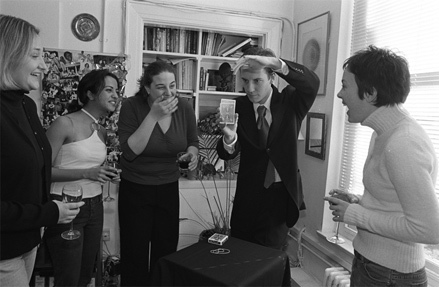 He knows that a corporate magician is a representative of your organization so you can be assured that your corporate image will be represented professionally when booking him. Apart from being a memorable way to create a buzz, you can hire Christopher as a close-up magician as an excellent way to break the ice and get the event started on the right note. His performances get guests and delegates mixing while he offers them something to talk about… besides work! What magic is best for your event? See CV for further information.